I'd like to welcome Becky from Becky's Barmy Book Blog! She was kind enough to answer my questions, so here is the interview! I started book blogging because I was reading so many books but finding it hard to get people to discuss them with me. I had read quite a few blogs and thought 'I can do that' so I took the plunge. It also offered me a good way of keeping track of everything I've read. I will literally read anywhere, I always have a book with me, if I find I'm standing around for even a minute - out comes the book. :D But I'm most comfortable curled up on the sofa. I am currently reading 'Walk the Lines: The London Underground - Overground' by Mark Mason. It was sent to me for review and I'm really enjoying it. I am also re-reading Harry Potter and the Deathly Hallows ready for the film release on Friday. What is the next book on your to-be-read pile? I have a massive TBR pile, next on it is 'The Secret Garden' by Frances Hodgson Burnett because I'm doing an event in the park opposite the library next month based on this book so I thought I had better read it. I've also got a PDF file book sent to me for review called 'Turned' by Morgan Rice. What do you think we'll be a popular genre in the future? Well we've had Vampire's and Angel's a lot recently which is still going strong on the Paranormal front and we're moving more into Demons and the Afterlife a lot more, so Horror seems bigger. But I think the next big thing is Dystopian. This is starting to really kick off and I think it will develop massively. I put all the series' together and all the books by the same author together. I then arrange them by height so my shelves are level. I am really fussy about this, and I hate it when publishers change the book designs halfway through a series so they don't match. For example all of the 'Spooks' books by Joseph Delaney were released in small hardbacks, i have 6 of them I think, then they were re-released in new paperbacks with different covers, then the newest one has come out in hardback but its more than double the size of the rest. I haven't bought a copy yet purely for the fact it doesn't match! I know it sounds silly but I want my books to look like a set and match. What series do you wish never ended and continued with more books? So many of them, when I read I get totally engrossed in the story and I feel like I know the characters, so when it ends I feel like I'm saying goodbye to friends, it's always hard, but if I had to pick one I would have to say Harry Potter, I grew up with the books and I can't quite come to believe that it's all over. Very true, I also wish that there were more books in the Harry Potter series! If you could only read books from one author for your entire life, which author would you pick? Ooh, that's a very tough question, I like variety, but if I could only have one I think I would pick Rachel Caine, she has an awesome writing style and can make me laugh and cry, plus she has written quite a bit so I would be kept occupied for longer. I've never read any books by Rachel Caine, but I really want to! Is there any book that made you cry? Explain why it did. So many books can make me cry - it's not hard. Seriously. As I said I get so involved with the characters that if anything bad happens to them I start crying. I cried like mad in 'Fang' by James Patterson, the two main characters had just got together after 6 books and then tragedy hit and the boy walked out, breaking her heart. I was blubbing like a baby. What is the best part about blogging so far? Wow, so many things, but mainly it's connecting with all the other bloggers out there, it's like being part of a global family, everyone is so friendly and helpful. When I'm not on my blog I find I miss it, being part of that world. It's crazy, hard work, fun and interesting. Thanks for having me on your blog, it was an honour. Thanks for stopping by on my blog, Becky! I had a great time interviewing you! 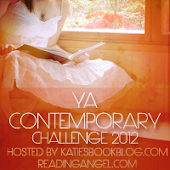 Here are the links to her: Twitter, Goodreads, and Facebook accounts. @Anna Thank you! I can't wait to put up your interview! Fun interview. That question about readin books from only one author for the rest of our lives...That's really hard! I immediately thought of Markus Zusak but then I thought, What if I ended up actually getting sick of his beautiful style?! So hard. @Jenny Thank you! It's definitely a hard question and really hard to answer! @Natalie Thank you! 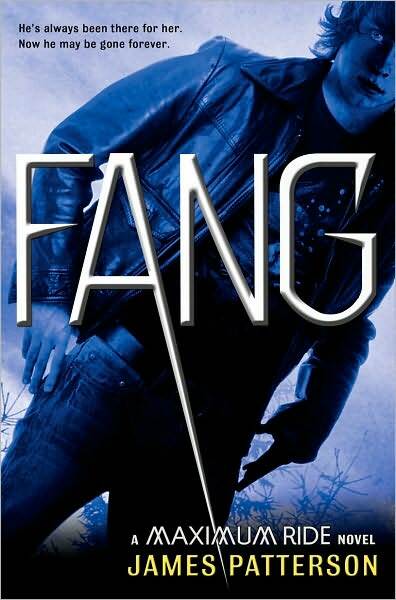 I know, I'm interested in reading Fang now also! @barmybex No problem, and thank you! It was great interviewing you!